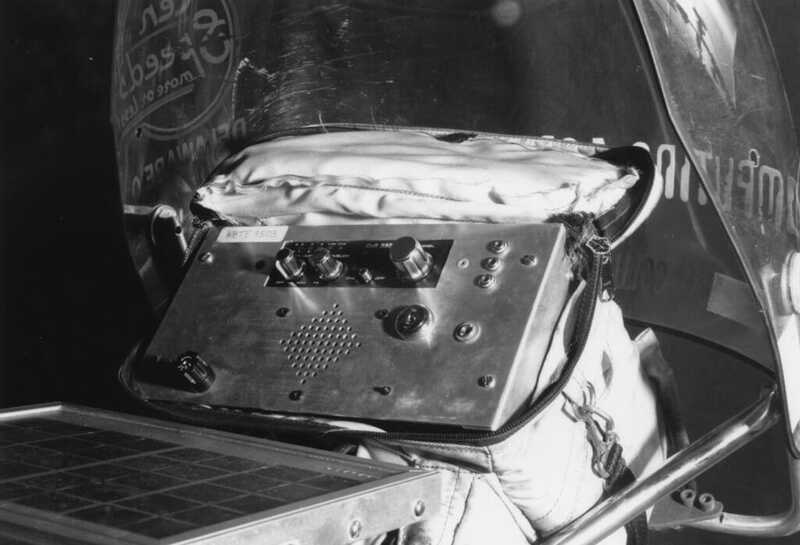 The technomadic story begins at a time of primitive computer and communications technologies. Cellular phones did not yet exist, online services cost a few dollars an hour for cumbersome text-only services, and people were debating whether one could actually work at home instead of the office. I had just turned 30, and was on a quest for geek adventure fueled by publishing… a way to escape Ohio suburbia and combine all my passions into a nomadic lifestyle. 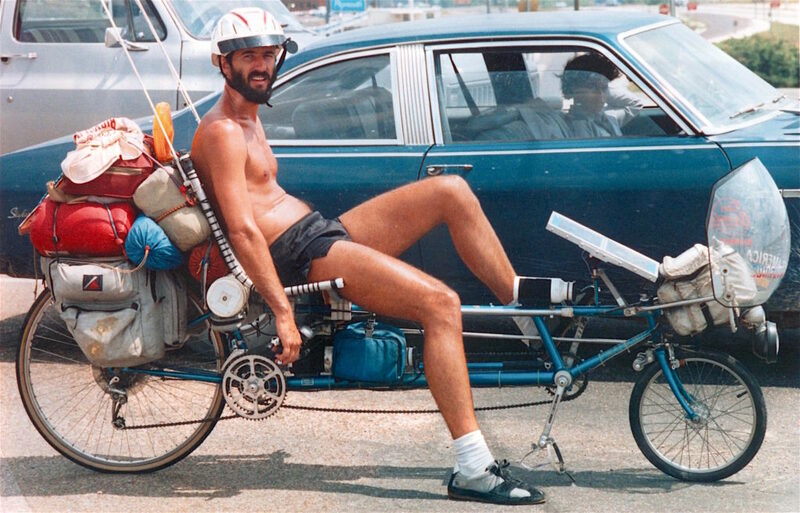 After six months of obsessive preparation, I hit the road in September 1983 on a custom recumbent bicycle with solar-powered portable computer (the venerable Radio Shack Model 100), a CompuServe account, and a base office. The idea was to simply have a way to stay in touch with clients and publishers while traveling full time, and as the months passed I refined the toolset to render my physical location less and less relevant. “Work at home? Work anywhere!” I wrote, exuberantly, sensing that I was pedaling at the cusp of major cultural change. 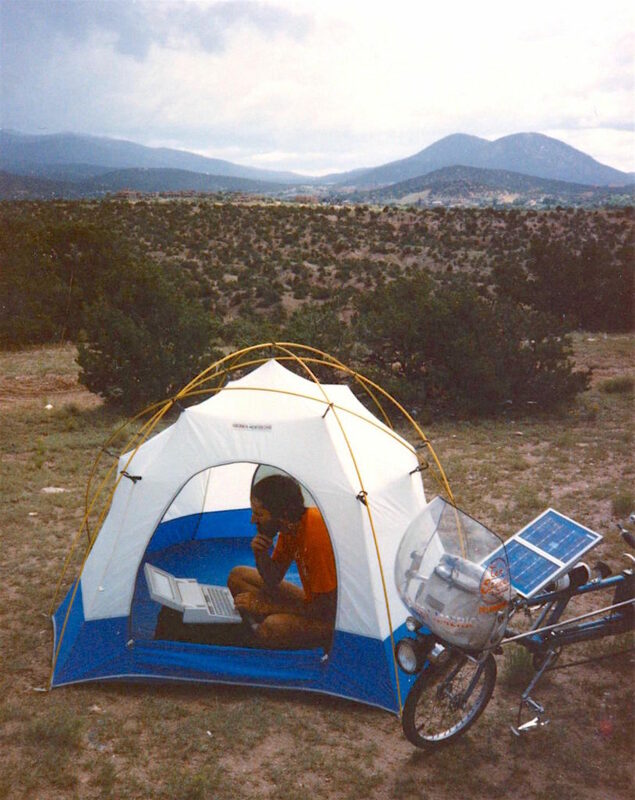 This started simply as a high-tech bicycle tour, but what I didn’t expect was that the media would be enchanted by the idea of nomadic connectivity… combining new information tools into a mobile lifestyle that also happened to be visually distinctive with the recumbent bicycle, solar panels, antennas, and more. My bike trip was becoming a career. 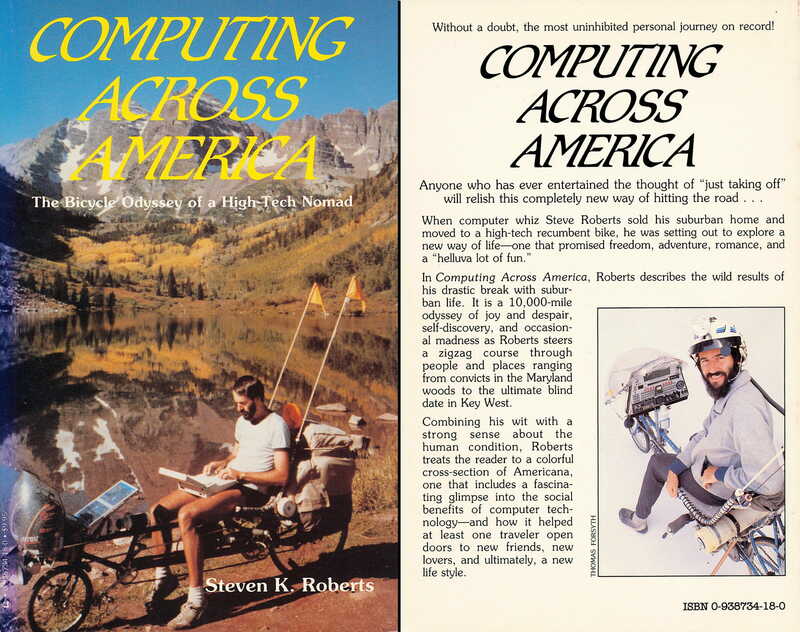 As the adventure unfolded, I wrote a book called Computing Across America, produced columns and features for various magazines, did regular interviews, and watched my whole life change. Ohio suburbia faded to a speck in my rear-view mirror, and I fantasized about the next generation of technomadic tools. 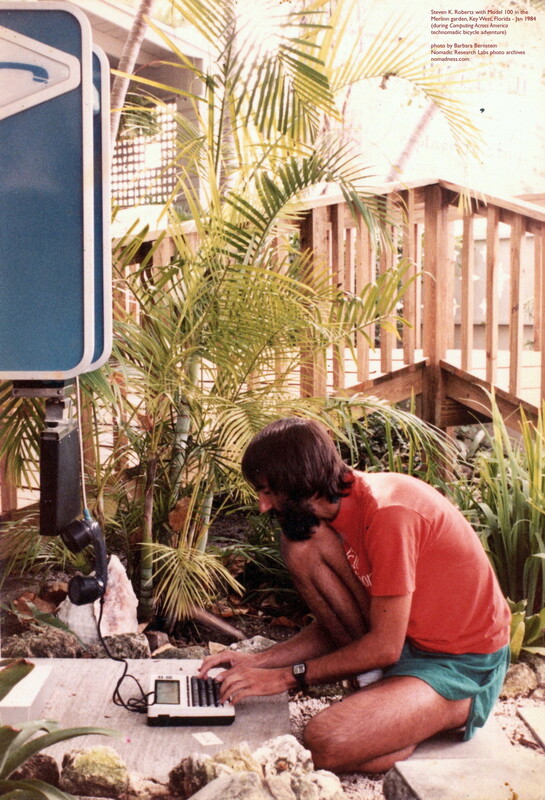 This first trip took place between 1983 and 1985, but the technological world was rapidly evolving and parts quickly came to feel obsolete. 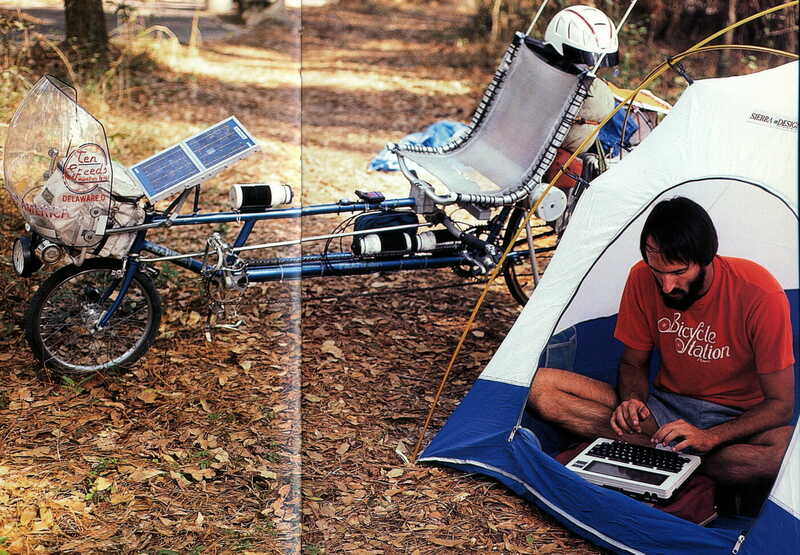 By late 1984, I had switched to a much more capable Hewlett Packard Portable, and was designing a system to let me write while riding as well as maintain a steady wireless link to readers. 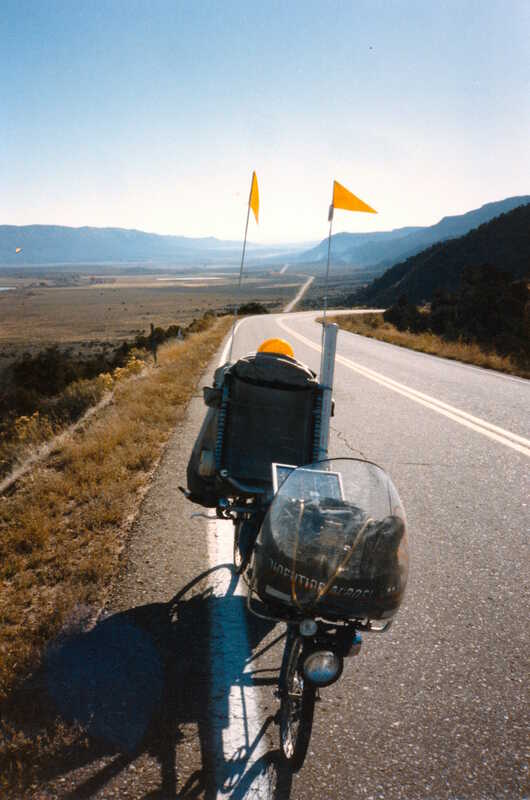 When the 10,000-mile mark rolled around (appropriately enough, in Silicon Valley), I decided to take a year off from the road to finish the book and build a whole new system onto the trusty frame that had carried me this far. 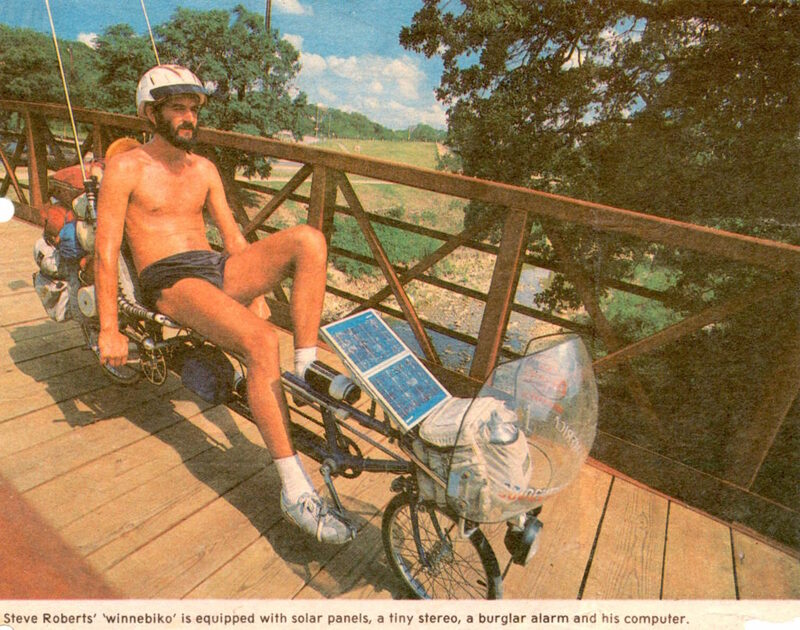 Back in the primitive days… the Winnebiko electronics package and 5-watt solar panel in 1983. Photo by Katie Peden. Fabricated over a 6-month period leading up to initial departure on September 28, 1983, this was the elemental form of my technomadic adventure substrate. 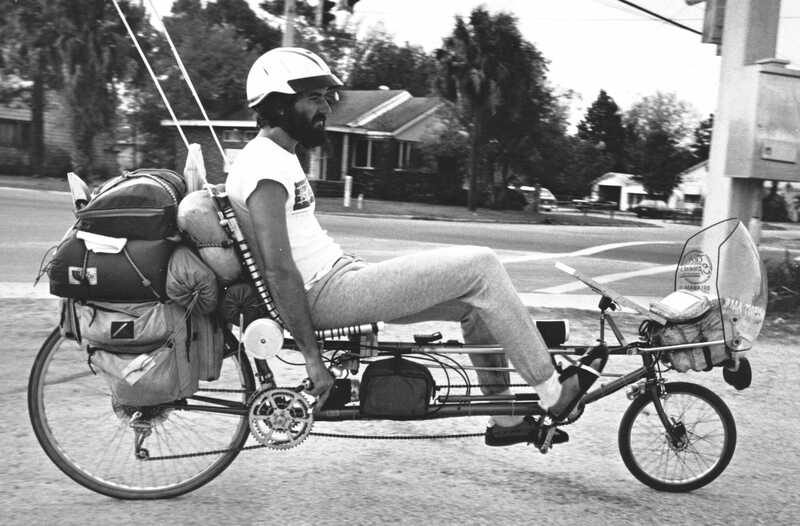 The overall weight including packs varied during the 10,000-mile tour from 135 to 195 pounds, and gearing was a straightforward wide-range 18-speed system. 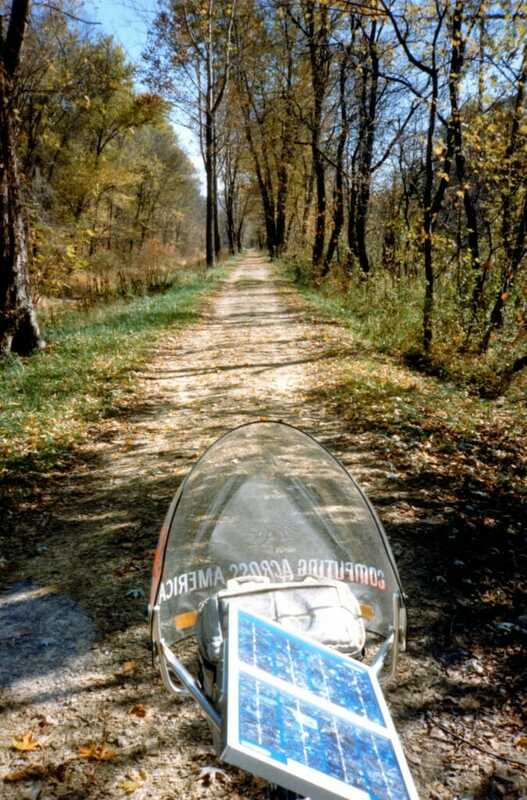 There was no provision for writing while riding, although I did have a remote-controlled audio cassette deck for note-taking while underway—this, along with a large pile of spiral notebooks, helped tremendously when writing the Computing Across America book. Winnebiko in New Mexico, during a photo shoot by Steve Northup for Time Magazine (September, 1984). Click image for that story.